We know that music training causes intelligence to increase, but why? In this post I 1) propose a new theory, and 2) falsify it immediately. Given that this particular combination of activities is unpublishable in any academic journal, I invite you to read the whole story here (in under 500 words). Incredible but true, music lessons improve the one thing that determines why people who are good on one task tend to be better on another task as well: IQ (Schellenberg, 2004; Kaviani et al., 2013; see coverage in previous blog post). Curiously, I have never seen an explanation for why music training would benefit intelligence. I propose the Improved Sustained Attention through Music Lessons hypothesis (ISAML). The ISAML hypothesis claims that all tasks related to intelligence are dependent to some degree on people attending to them continuously. This ability is called sustained attention. A lapse of attention, caused by insufficient sustained attention, leads to suboptimal answers on IQ tests. Given that music is related to the structuring of attention (Boltz & Jones, 1989) and removes attentional ‘gaps’ (Olivers & Nieuwenhuis, 2005; see coverage in previous blog post), music training might help in attentional control and, thus, in increasing sustained attention. This in turn might have a positive impact on intelligence, see boxes and arrows in Figure 1. Figure 1. The Improved Sustained Attention through Music Lessons hypothesis (ISAML) in a nutshell. Arrows represent positive associations. Prediction c is already supported, see above. Does anyone know something about prediction b? Here, I shall evaluate prediction a: does music training increase sustained attention? So far, the evidence looks inconclusive (Carey et al., 2015). Therefore, I will turn to a data set of my own which I gathered in a project together with Suzanne R. Jongman (Kunert & Jongman, in press). We used a standard test of sustained attention: the digit discrimination test (Jongman et al., 2015). Participants had the mind-boggingly boring task of clicking a button every time they saw a zero while watching one single digit after another on the screen for ten minutes. A low sustained attention ability is thought to be reflected by worse performance (higher reaction time to the digit zero) at the end of the testing session compared to the beginning, or by overall high reaction times. Unfortunately for the ISAML, it turns out that there is absolutely no relation between musical training and sustained attention. As you can see in Figure 2A, the reaction time (logged) decrement between the first and last half of reactions to zeroes is not related to musical training years [Pearson r = .03, N = 362, p = .61, 95% CI = [-.076; .129], JZS BF01 with default prior = 7.59; Spearman rho = .05]. Same for mean reaction time (logged), see Figure 2B [Pearson r = .02, N = 362, p = .74, 95% CI = [-0.861; 0.120], JZS BF01 = 8.181; Spearman rho = 0.03]. Figure 2. The correlation between two different measures of sustained attention (vertical axes) and musical training (horizontal axes) in a sample of 362 participants. High values on vertical axes represent low sustained attention, i.e. the ISAML predicts a negative correlation coefficient. Neither correlation is statistically significant. Light grey robust regression lines show an iterated least squares regression which reduces the influence of unusual data points. Why on earth is musical training related to IQ increases? I have no idea. The ISAML is not a good account for the intelligence boost provided by music lessons. Do you know the feeling of a musical piece moving you? What is this feeling? One common answer by psychological researchers is that what you feel is your attention moving in sync with the music. In a new paper I show that this explanation is mistaken. Watch the start of the following video and observe carefully what is happening in the first minute or so (you may stop it after that). Noticed something? Nearly everyone in the audience moved to the rhythm, clapping, moving the head etc. And you? Did you move? I guess not. You probably looked carefully at what people were doing instead. Your reaction illustrates nicely how musical rhythms affect people according to psychological researchers. One very influential theory claims that your attention moves up and down in sync with the rhythm. It treats the rhythm like you treated it. It simply ignores the fact that most people love moving to the rhythm. Sometimes we have gaps of attention. Sometimes we manage to concentrate really well for a brief moment. A very influential theory, which has been supported in various experiments, claims that these fluctuations in attention are synced to the rhythm when hearing music. Attention is up at rhythmically salient moments, e.g., the first beat in each bar. And attention is down during rhythmically unimportant moments, e.g., off-beat moments. This makes intuitive sense. Important tones, e.g., those determining the harmonic key of a music piece, tend to occur at rhythmically salient moments. Looking at language rhythm reveals a similar picture. Stressed syllables are important for understanding language and signal moments of rhythmic salience. It makes sense to attend well during moments which include important information. The test: faster decisions and better learning? I, together with Suzanne Jongman, asked whether attention really is up at rhythmically salient moments. If so, people should make decisions faster when a background rhythm has a moment of rhythmic importance. As if people briefly concentrated better at that moment. This is indeed what we found. People are faster at judging whether a few letters on the screen are a real word or not, if the letters are shown near a salient moment of a background rhythm, compared to another moment. However, we went further. People should also learn new words better if they are shown near a rhythmically salient moment. This turned out not to be the case. Whether people have to memorise a new word at a moment when their attention is allegedly up or down (according to a background rhythm) does not matter. Learning is just as good. What is more, even those people who react really strongly to the background rhythm in terms of speeding up a decision at a rhythmically salient moment (red square in Figure below), even those people do not learn new words better at the same time as they speed up. It’s as if the speed-up of decisions is unrelated to the learning of new words. That’s weird because both tasks are known to be affected by attention. This makes us doubt that a rhythm affects attention. What could it affect instead? Figure 1. Every dot is one of 60 participants. How much a background rhythm sped up responses is shown horizontally. How much the same rhythm, at the same time, facilitated pseudoword memorisation is shown on the vertical axis. The red square singles out the people who were most affected by the rhythm in terms of their decision speed. Notice that, at the same time, their learning is unaffected by the rhythm. To our own surprise, a musical rhythm appears not to affect how your attention moves up and down, when your attentional lapses happen, or when you can concentrate well. Instead, it simply appears to affect how fast you can press a button, e.g., when indicating a decision whether a few letters form a word or not. Thinking back to the video at the start, I guess this just means that people love moving to the rhythm because the urge to do so is a direct consequence of understanding a rhythm. Somewhere in the auditory and motor parts of the brain, rhythm processing happens. However, this has nothing to do with attention. This is why learning a new word shown on the screen – a task without an auditory or motor component – is not affected by a background rhythm. You may read all of this yourself in the paper (here). I will have to admit that in many ways this paper is how I like to see science done and, so, I will shamelessly tell you of its merits. The paper is not too long (7,500 words) but includes no less than 4 experiments with no less than 60 participants each. Each experiment tests the research question individually. However, the experiments build on each other in such a way that their combination makes the overall paper stronger than any experiment individually ever could. In terms of analyses, we put in everything we could think of. All analyses are Bayesian (subjective Bayes factor) and frequentist (p-values). We report hypothesis testing analyses (Bayes factor, p-values) and parameter estimation analyses (effect sizes, Confidence intervals, Credible intervals). If you can think of yet another analysis, go for it. We publish the raw data and analysis code alongside the article. The most important reason why this paper represents my favoured approach to science, though, is because it actually tests a theory. A theory I and my co-author truly believed in. A theory with a more than 30-year history. With a varied supporting literature. With a computational model implementation. With more than 800 citations for two key papers. With, in short, everything you could wish to see in a good theory. And we falsified it! Instead of thinking of the learning task as ‘insensitive’ or as ‘a failed experiment’, we dug deeper and couldn’t help but concluding that the attention theory of rhythm perception is probably wrong. We actually learned something from our data! PS: no-one is perfect and neither is this paper. I wish we had pre-registered at least one of the experiments. I also wish the paper was open access (see a free copy here). There is room for improvement, as always. In a new article I evaluate a recently developed test for music listening skills. To my great surprise the test behaves very well. This could open the path to better understand the psychology underlying music listening. Why am I surprised? I got my first taste of how difficult it is to replicate published scientific results during my very first empirical study as an undergraduate (eventually published as Kunert & Scheepers, 2014). Back then, I used a 25 minute long dyslexia screening test to distinguish dyslexic participants from non-dyslexic participants (the Lucid Adult Dyslexia Screener). Even though previous studies had suggested an excellent sensitivity (identifying actually dyslexic readers as dyslexic) of 90% and a moderate to excellent specificity (identifying actually non-dylexic readers as non-dyslexic) of 66% – 91% (Singleton et al., 2009; Nichols et al., 2009), my own values were worse at 61% sensitivity and 65% specificity. In other words, the dyslexia test only flagged someone with an official dyslexia diagnosis in 11/18 cases and only categorised someone without known reading problems as non-dyslexic in 13/20 cases. The dyslexia screener didn’t perform exactly as suggested by the published literature and I have been suspicious of ability tests every since. 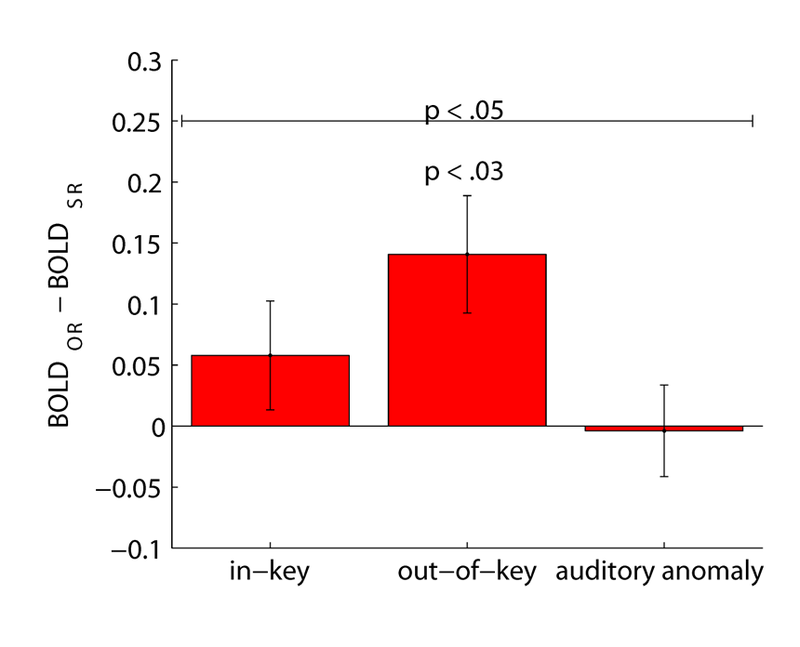 Five years later I acquired data to look at how music can influence language processing (Kunert et al., 2016) and added a newly proposed music abilitily measure called PROMS (Law & Zentner, 2012) to the experimental sessions to see how bad it is. I really thought I would see the music listening ability scores derived from the PROMS to be conflated with things which on the face of it have little to do with music (digit span, i.e. the ability to repeat increasingly longer digit sequences), because previous music ability tests had that problem. Similarly, I expected people with better music training to not have that much better PROMS scores. In other words, I expected the PROMS to perform worse than suggested by the people who developed the test, in line with my negative experience with the dylexia screener. It then came as a surprise to see that PROMS scores were hardly associated with the ability to repeat increasingly longer digit sequences (either in the same order, i.e. forward digit span, or in reverse order, i.e. backward digit span), see Figure 1A and 1B. This makes the PROMS scores surprisingly robust against variation in working memory, as you would expect from a good music ability test. Figure 1. How the brief PROMS (vertical axis) correlates with various validity measures (horizontal axis). Each dot is one participant. Lines are best fit lines with equal weights for each participant (dark) or downweighting unusual participants (light). Inserted correlation values reflect dark line (Pearson r) or a rank-order equivalent of it which is robust to outliers (Spearman rho). Correlation values range from -1 to +1. The second surprise came when musical training was actually associated with better music skill scores, as one would expect for a good test of music skills, see Figures 1C, 1D, 1E, and 1H. To top it of, the PROMS score was also correlated with the music task performance in the experiment looking at how language influences music processing. This association between the PROMS and musical task accuracy was visible in two independent samples, see Figures 1F and 1G, which is truly surprising because the music task targets harmonic music perception which is not directly tested by the PROMS. To conclude, I can honestly recommend the PROMS to music researchers. To my surprise it is a good test which could truly tell us something about where music skills actually come from. I’m glad that this time I have been proven wrong regarding my suspicions about ability tests. In a new paper I, together with Roel Willems and Peter Hagoort, show that music and language are tightly coupled in the brain. Get the gist in a 180 second youtube clip and then try out what my participants did. It turns out that reading syntactically difficult sentences while hearing the music reduced the feeling that music pieces like this did actually end well. This indicated that processing language syntax draws on brain resources which are also responsible for music harmony. Difficult syntax: The surgeon consoled the man and the woman put her hand on his forehead. Easy syntax: The surgeon consoled the man and the woman because the operation had not been successful. Curiously, sentences with a difficult meaning had no influence on the ‘finished judgements’. Difficult meaning: The programmer let his mouse run around on the table after he had fed it. Easy meaning: The programmer let his field mouse run around on the table after he had fed it. Because only language syntax influenced ‘finished judgements’, we believe that music and language share a common syntax processor of some kind. This conclusion is in line with a number of other studies which I blogged about before. What this paper adds is that we rule out an attentional link between music and language as the source of the effect. In other words, difficult syntax doesn’t simply distract you and thereby disables your music hearing. Its influence is based on a common syntax processor instead. In the end, I tested 278 participants across 3 pre-tests, 2 experiments, and 1 post-test. Judge for yourself whether it was worth it by reading the freely available paper here. When you read a book and listen to music, the brain doesn’t keep these two tasks nicely separated. In a new article just out, I show that there is a brain area which is busy with both tasks at the same time (Kunert et al., 2015). This brain area might tell us a lot about what music and language share. 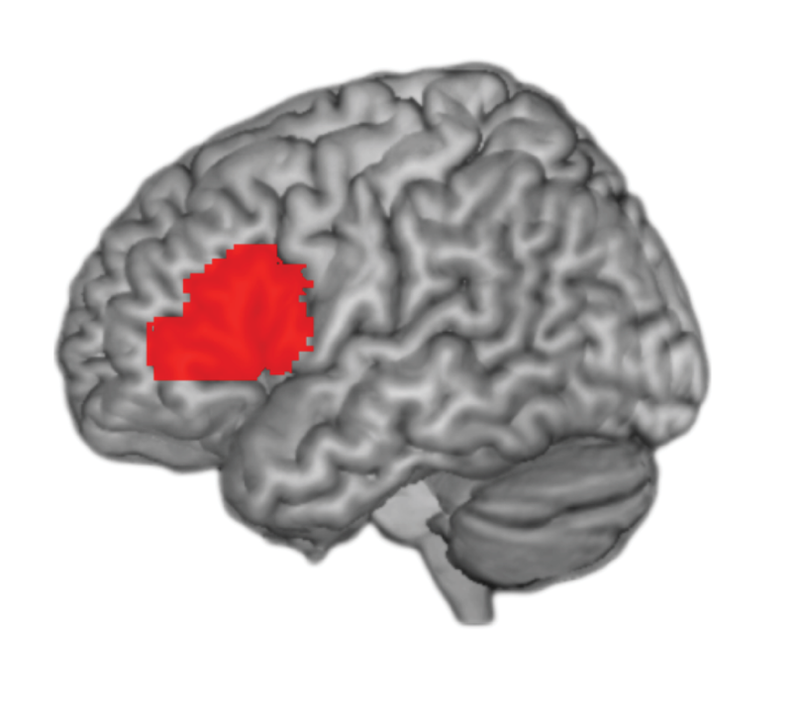 The brain area which you see highlighted in red on this picture is called Broca’s area. Since the 19th century, many people believe it to be ‘the language production part of the brain’. However, a more modern theory proposes that this area is responsible for combining elements (e.g., words) into coherent wholes (e.g., sentences), a task which needs to be solved to understand and produce language (Hagoort, 2013). In my most recent publication, I found evidence that at the same time as combining words into sentences, this area also combines tones into melodies (Kunert et al., 2015). What did I do with my participants in the MRI scanner? Take for example the sentence The athlete that noticed the mistresses looked out of the window. Who did the noticing? Was it the mistresses who noticed the athlete or the athlete who noticed the mistresses? In other words, how does noticed combine with the mistresses and the athlete? There is a second version of this sentence which uses the same words in a different way: The athlete that the mistresses noticed looked out of the window. If you are completely confused now, I have achieved my aim of giving you a feeling for what a complicated task language is. Combining words is generally not easy (first version of the sentence) and sometimes really hard (second version of the sentence). Listening to music can be thought of in similar ways. You have to combine tones or chords in order to hear actual music rather than just a random collection of sounds. It turns out that this is also generally not easy and sometimes really hard. Check out the following two little melodies. The text is just the first example sentence above, translated into Dutch (the fMRI study was carried out in The Netherlands). If these examples don’t work, see more examples on my personal website here. Did you notice the somewhat odd tone in the middle of the second example? Some people call this a sour note. The idea is that it is more difficult to combine such a sour note with the other tones in the melody, compared to a more expected note. So, now we have all the ingedients to compare the combination of words into a sentence (with an easy and a difficult kind of combination) and tones in a melody (with an easy and a difficult kind of combination). My participants heard over 100 examples like the ones above. The experiment was done in an fMRI scanner and we looked at the brain area highlighted in red above: Broca’s area (under your left temple). What did I find in the brain data? The height of the bars represents the difference in brain activity signal between the easy and difficult versions of the sentences. As you can see, the bars are generally above zero, i.e. this brain area displays more activity for more difficult sentences (not a significant main effect in this analysis actually). I show three bars because the sentences were sung in three different music versions: easy (‘in-key’), hard (‘out-of-key’), or with an unexpected loud note (‘auditory anomaly’). As you can see the easy version of the melody (left bar) or the one with the unexpected loud note (right bar) hardly lead to an activity difference between easy and difficult sentences. It is the difficult version (middle bar) which does. In other words: when this brain area is trying to make a difficult combination of tones, it suddenly has great trouble with the combination of words in a sentence. This indicates that Broca’s area uses the same resources for music and language. If you overwhelm this area with a difficult music task, there are less resources available for the language task. In a previous blog post, I have argued that behavioural experiments have shown a similar picture (Kunert & Slevc, 2015). This experiment shows that the music-language interactions we see in people’s behaviour might stem from the activity in this brain area. So, this fMRI study contributes a tiny piece to the puzzle of how the brain deals with the many tasks it has to deal with. Instead of keeping everything nice and separated in different corners of the head, similar tasks appear to get bundled in specialized brain areas. Broca’s area is an interesting case. It is associated with combining a structured series of elements into a coherent whole. This is done across domains like music, language, and (who knows) beyond. DISCLAIMER: The views expressed in this blog post are not necessarily shared by my co-authors Roel Willems, Daniel Casasan/to, Ani Patel, and Peter Hagoort. When you listen to some music and when you read a book, does your brain use the same resources? This question goes to the heart of how the brain is organised – does it make a difference between cognitive domains like music and language? In a new commentary I highlight a successful approach which helps to answer this question. How do we read? 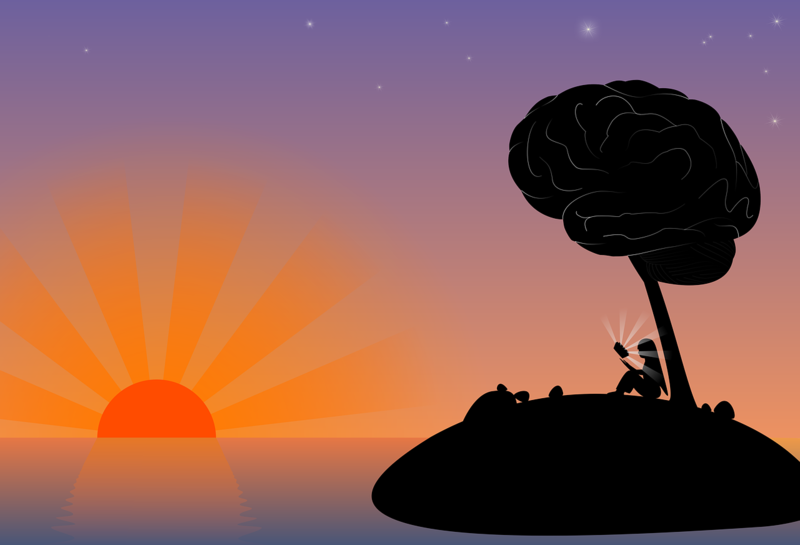 What is the brain doing in this picture? After | the trial | the attorney | advised | the defendant | was | likely | to commit | more crimes. I bet it was on the segment was. You probably thought that the defendant was advised, rather than that someone else was advised about the defendant. Once you read the word was you need to reinterpret what you have just read. In 2009 Bob Slevc and colleagues found out that background music can change your reading of this kind of sentences. If you hear a chord which is harmonically unexpected, you have even more trouble with the reinterpretation of the sentence on reading was. Why does music influence language? Why would an unexpected chord be problematic for reading surprising sentences? The most straight-forward explanation is that unexpected chords are odd. So they draw your attention. To test this simple explanation, Slevc tried out an unexpected instrument playing the chord in a harmonically expected way. No effect on reading. Apparently, not just any odd chord changes your reading. The musical oddity has to stem from the harmony of the chord. Why this is the case, is a matter of debate between scientists. What this experiment makes clear though, is that music can influence language via shared resources which have something to do with harmony processing. Why ignore the fact that music influences language? Sure one has to focus on something, but it annoys me that people tend focus on methods (especially fancy expensive methods like MRI scanners), rather than answers (especially answers from elegant but cheap research into human behaviour like reading). So I decided to write a commentary together with Bob Slevc. We list no less than ten studies which used a similar approach to the one outlined above. Why ignore these results? If only Peretz and colleagues had truly looked at ‘converging evidence from several methodologies’. They would have asked themselves why music sometimes influences language and why it sometimes does not. The debate is in full swing and already beyond the previous question of whether music and language share brain resources. Instead, researchers ask what kind of resources are shared. So, yes, music and language appear to share some brain resources. Perhaps this is not easily visible in MRI brain scanners. Looking at how people read with chord sequences played in the background is how one can show this. 1 Except for one ECoG study. DISCLAIMER: The views expressed in this blog post are not necessarily shared by Bob Slevc. 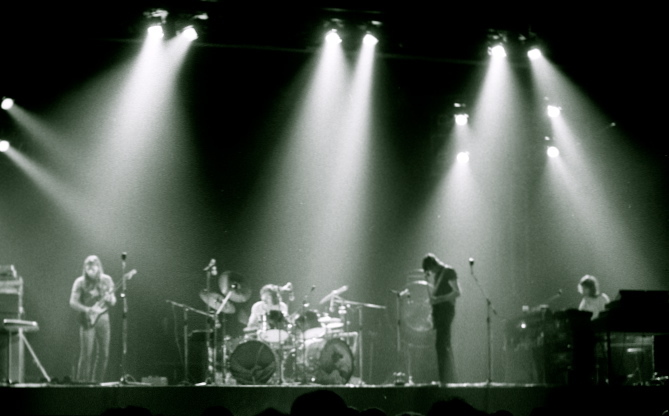 You have probably heard that Pink Floyd recently published their new album Endless River. Will this bring back the wonderful world of good music after the endless awfulness of the popular music scene in the last 20 years or so? Is good music, as we know it from the 60s and 70s, back for good? The reasons behind the alleged endless awfulness of pop music these days suggest otherwise. We shouldn’t be throwing stones at new music but instead at our inability to like it. When we were young we learned to appreciate Pink Floyd. Daniel Levitin was asked at a recent music psychology conference in Toronto why old music is amazing and new music is awful. He believed that modern record companies are there to make money. In the olden days, on the other hand, they were there to make music and ready to hold on to musicians which needed time to become successful. More interestingly, he reminded the public that many modern kidz would totally disagree with the implication that modern music is awful. How can it be that new music is liked by young people if so much of it is often regarded as quite bad? The answer to the mystery has nothing to do with flaws in modern music but instead with our brain. When adults hear new music they often hate it at first. After repeated listening they tend to find it more and more beautiful. For example, Marcia Johnson and colleagues (1985) played Korean melodies to American participants and found that hearing a new melody led to low liking ratings, a melody heard once before to higher ratings and even more exposure to higher than higher ratings. Even Korsakoff patients – who could hardly remember having heard individual melodies before – showed this effect, i.e. without them realising it they probably never forget melodies. This so-called mere exposure effect is all that matters to me: a robust, medium-strong, generally applicable, evolutionarily plausible effect (Bornstein, 1989). You can do what you like, it applies to all sorts of stimuli. However, there is one interesting exception here. Young people do not show the mere exposure effect, no relationship between ‘repeat the stimulus’ and ‘give good feeling’ (Bornstein, 1989). As a result, adults need a lot more patience before they like a new song as much as young people do. No wonder adults are only satisfied with the songs they already know from their youth in the 60s and 70s. Probably, when looking at the music scene in 2050 the current generation will equally hate it and wish the Spice Girls back (notice the gradual rise of 90’s parties already). So, when it comes to an allegedly awful present and great past, ask yourself: how deep is your love for the old music itself rather than its repeated listening? Listen repeatedly to any of a million love songs and you will end up appreciating it. Personally, I give new music a chance and sometimes it manages to relight my fire. Concerning Endless River, if it’s not love at first sight, do not worry. The new Pink Floyd album sure is good (depending on how many times you listen to it). PS: Yes, I did hide 29 Take That song titles in this blog post. Be careful, you might like 90’s pop music a little bit more due to this exposure. Check out the video. It is a short demonstration of the so-called attentional blink. Whenever you try to spot the two letters in the rapid sequence you’ll miss the second one. This effect is so robust that generations of Psychology undergraduates learned about it. And then came music and changed everything. Did you see the R in the video? Probably you did, but did you see the C? The full sequence starts at 0:48, the R occurs at 0:50 and the sequence ends at 0:53. As far as I can see each letter is presented for about 130 milliseconds (a typical rate for this sort of experiment). Judging by the youtube comments, of those who did the task properly (14 comments when I checked), only 65% saw the C. This is remarkably close to the average performance during an attentional blink (around 60% or so). Where does the attentional blink come from? The idea is that when the C is presented it cannot enter attention because attention is busy with the R. Another theory states that you immediately forget that you’ve seen the C. The R is less vulnerable to rapid forgetting. What does music do with our attention? In 2005 Christian Olivers and Sander Nieuwenhuis reported that they could simply abolish this widely known effect by playing a rhythmic tune in the background (unfortunately no more details are given). Try it out yourself. Switch on the radio and play a song with a strong beat. Now try the video again. Can you see both the R and the C? The 16 people in the music condition of Olivers and Nieuwenhuis could. Music actually let them see things which without music were invisible. It is a bit mysterious why music would have such an effect. The article only speculates that it has something to do with music inducing a more ‘diffuse’ state of mind, greater arousal, or positive mood. I think the answer lies somewhere else. Music, especially songs with a strong beat, change how we perceive the world. On the beat (i.e. when most people would clap to the beat) one pays more attention than off the beat. What music might have done to participants is to restructure attention. Once the R occurs, it is no longer able to dominate attention because people are following the rhythmic attentional structure. Behind my explanation is the so-called dynamic attending theory. Unfortunately, Olivers and Nieuwenhuis appear not to be familiar with it. Perhaps it is time to include some music cognition lessons in psychology undergraduate classes. After all, a bit of music let’s you see things which otherwise remain hidden to you. 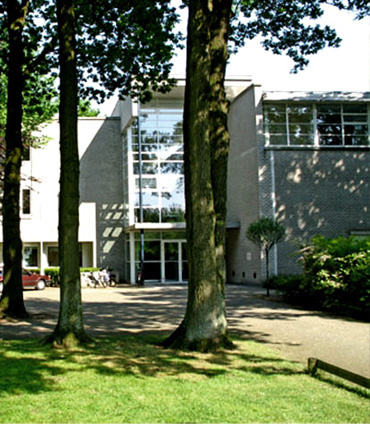 The MPI in Nijmegen: the origin of answers to your questions. The Max Planck Institute in Nijmegen has started a great initiative which tries nothing less than answer all your questions about language. How does it work? 3) If not, scroll to the bottom and ask a question yourself. The answers are not provided by just anybody but by language researchers themselves. Before they are put on the web they get checked by another researcher and they get translated into German, Dutch and English. It’s a huge enterprise, to be sure..
– How does manipulating through language work? – Is it true that people who are good in music can learn a language sooner? – How do gender articles affect cognition? .What do think of my answers? What questions would you like to see answered?